A filter is a membrane or layer designed to block some objects or particles while letting clean water pass through. Different types of filters containing different media can be used in different systems for optimal purification. Learn how to replace your CWM filter. 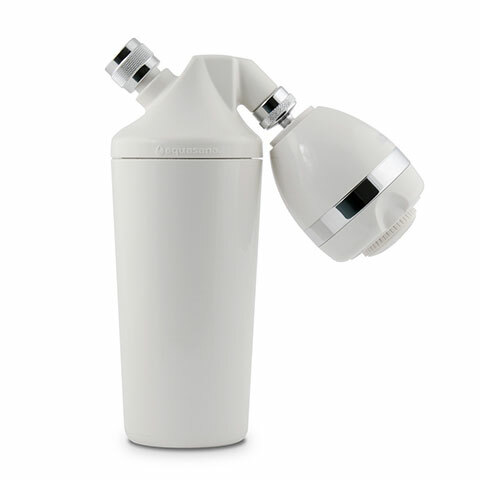 Filter bottles are water bottles that have filtration devices built in. They allow the user to filter on the go, from any potable water source (tap water, the bathroom sink, those kind-of-sketchy drinking fountains at the park, etc.). 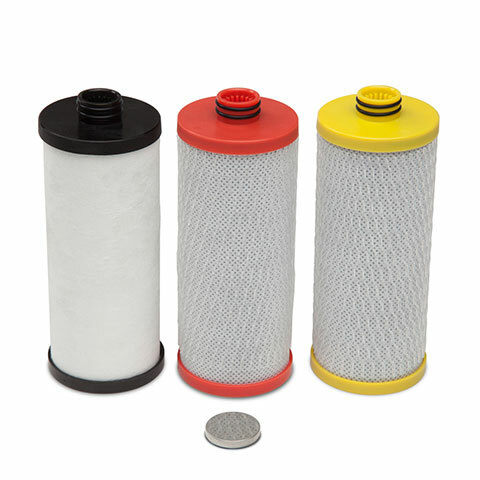 Filter bottles typically remove contaminants like lead, mercury, asbestos, chlorine, pharmaceuticals, and more. Filter bottles are certified to different standards of testing – find a bottle that fits the necessary standards based on the purpose of use. Cartridge refers to the plastic housing that contains the media for water filtration. Typically placed inside a sump on a drinking system. The sump holds the water, the cartridge holds the media, and the media filters the water. Cartridges need to be replaced as recommended depending on the filtration system. Filtration is the process of purifying water using a filter. When it comes to water, no filtration is a bad thing. 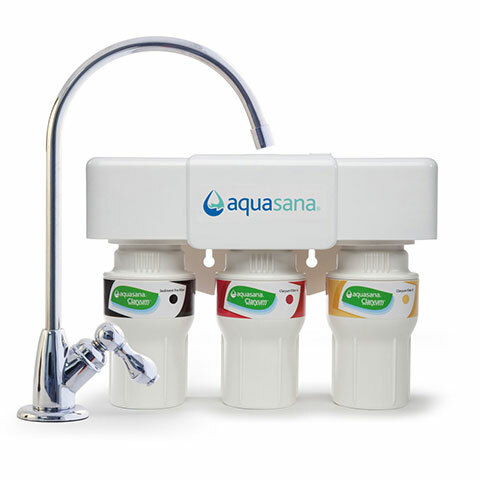 The application of a drinking water filter – range in scope from a handheld pitcher to whole home filtration. Filtration systems typically combine different methods, media, and technology to build a system for a specific use. The residents of Flint, Michigan have been the victims of a water crisis since 2014, when the city began sourcing its water from the Flint river as a way to cut costs. Despite expressed concerns about the water quality, city officials and the Michigan Department of Water Quality continued to deem the water safe. During 2015, testing by the EPA and a study by Virginia Tech revealed that up to 40 percent of residents’ water contained alarming levels of iron and lead. Because the water was not treated with anti-corrosives, the river water was corroding old pipes and leaching lead into the drinking water. Under pressure from residents, the ACLU, pediatrician Mona Hanna-Attisha, the Michigan Department Health and Human Services, and several activist groups, officials finally approved a switch back to their original water supplier. These issues were not fully resolved by the switch however, due to the lead pipes inherent in Flint’s water infrastructure. The crisis in Flint led citys and other entities to reevaluate their own infrastructures, revealing a nationwide problem with elevated lead levels. A flood is a great flowing of water, usually an overflowing of water and most often over land. Usually part of a Reverse Osmosis system. In order for reverse osmosis to work, the water must flow through the membrane at the proper rate. The flow restrictor is a vital component for proper operation of the RO unit to ensure this process takes place slowly enough for proper filtration. The term forest fire refers specifically to a spreading fire which burns forest vegetation. While we often use the term “forest fire” to refer to any type of rural fire, the more general term is “wildfire”. Wildfires have natural or human causes and can wreak havoc on cities or towns within the fire’s path. Fracking is a process by which oil and gas are extracted from rock. When oil or gas is detected, drillers bore into the rock and create a fracture or fissure. Then, a highly-pressurized mixture of water, sand and chemicals is propelled into the rock—this forces the oil or gas out, allowing for its collection. Many environmental activists oppose fracking because of its environmental impact, including its potential threat to groundwater near drill sites. Fresh water is naturally occurring water on the Earth’s surface. This term encompasses all the non-oceanic water including ice, ice caps, glaciers, rivers, ponds, lakes, aquifers, and more. Fresh water makes up 2% of Earth’s water resources and only 1 percent remains drinkable.